"I have an average typing speed, but I used to type looking at the keyboard. But ever since I have been following your tutorials, I have improved a lot. And my typing speed too, has increased! Thank you so much for your guidelines!" 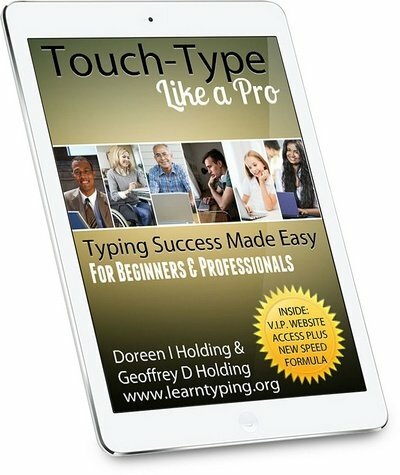 After some quick drills you will be diving in to more typing practice with real words and phrases. ​Flex your fingers to loosen them. Notice the two keys G and H in the centre of the keyboard. ​Sit so that these are in front of the centre of your body. Use fingers as shown. Keeping your fingers over the two sets of four home keys we just practised - stretch your index fingers across to G & H (left hand for "G" and right hand for "H") and up to the T (left hand). Type the drills below.